November 15, 2016 – The launch of a United Launch Alliance (ULA) Atlas V carrying the Lockheed Martin-built GOES-R weather satellite for NOAA and NASA is set for Saturday, November 19 at 3:42 p.m. MST. Liftoff will occur from Space Launch Complex 41 at Cape Canaveral Air Force Station in Florida. Once in geostationary orbit, GOES-R will be known as GOES-16 and will provide images of weather patterns and severe storms as regularly as every five minutes or as frequently as every 30 seconds. These images can be used to aid in weather forecasts, severe weather outlooks, watches and warnings, lightning conditions, maritime forecasts and aviation forecasts. It also will assist in longer term forecasting, such as in seasonal predictions and drought outlooks. In addition, space weather conditions will be monitored constantly, including the effects of solar flares to provide advance notice of potential communication and navigation disruptions. It also will assist researchers in understanding the interactions between land, oceans, the atmosphere and climate. A prelaunch news conference on NASA TV will be held at Kennedy’s Press Site at 11 a.m. MST Thursday, November 17. Following the prelaunch news conference at 12 p.m., a NOAA GOES-R mission briefing will be held on NASA Television’s Media Channel. On Friday, November 18, the GOES-R “Social” presentations to the social media will be broadcast on NASA Television from 11:30 a.m. until 1 p.m MST. On Saturday, November 19, NASA Television will simulcast a special prelaunch program carried by NASA EDGE starting at 1:45 p.m. MST on the NASA TV Media Channel. The program is live and featured on the NASA web and social media sites. 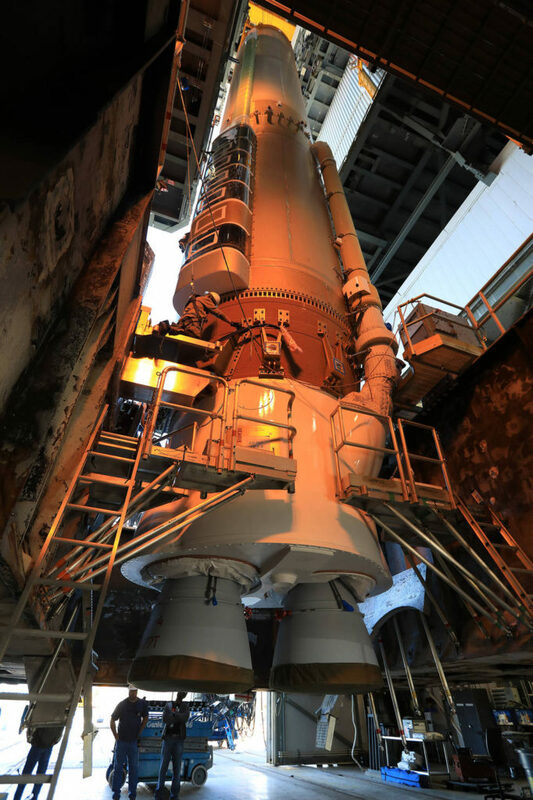 It will cover NOAA’s GOES-R mission and its launch aboard the Atlas V rocket. On Saturday, November 19, NASA Television launch coverage and commentary will be carried only on the NASA TV Media Channel beginning at 2:45 p.m. MST Following Soyuz docking coverage at approximately 3:06 p.m. MST, launch coverage will switch to the NASA TV Public Channel. Coverage will conclude after spacecraft separation from the Centaur and the GOES-R solar arrays are deployed, which occurs approximately 3 ½ hours after launch. At that time the spacecraft initial state of health can be determined and will be confirmed on the air. There is no planned post-launch news conference.